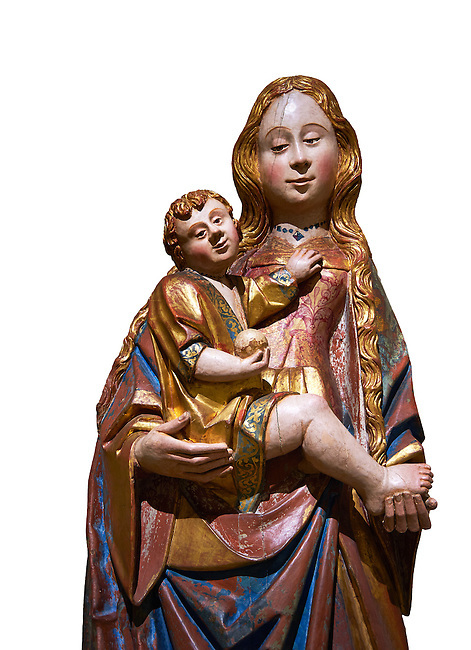 Gothic statue of The Virgin Mary (Madonna) holding the baby Jesus. Polychrome and gold leaf on wood by the Circle of Gil de Siloe around 1500, probably from Castella. Inv MNAC 64028. National Museum of Catalan Art (MNAC), Barcelona, Spain. Against a white background.